Sandra Curtis Design, LLC is an award-winning, full-service residential interior design studio. Whether your project is large or small, our mission is to create beautiful, customized interiors . . . . . . spaces that reflect the people who live in them. T & L Interiors designs beautiful spaces with the goal of connecting life and style. Whether you are building or renovating we offer functionality, style, and value. We love to work in a variety of styles and range to create interiors to make your house a home. Growing up, Tracy and Linda both spent much of our younger years on Lake Winnipesaukee. They truly love where they live and enjoy the process of transforming spaces for their clients, creating homes that fit their lifestyles. Tracy and Linda work with homeowners and builders around the Lakes Region of New Hampshire...and beyond. T & L Interiors designs beautiful spaces with the goal of connecting life and style. Whether you are building, renovating or redecorating, we make the process stress-free and enjoyable! 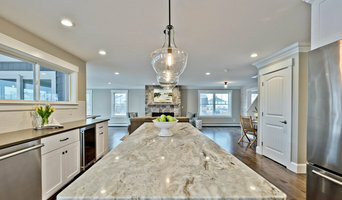 TSD Interiors is a small full service design firm in the Lakes Region. We believe in listening to our clients and understanding their needs. We strive to create our client's own unique spaces based on their tastes, passions, lifestyles, and budgets. Theresa DeChiaro began her interior design career in the early 1990's. After studying Interior Design at the University of North Carolina - Greensboro, she began work as a designer in Dover, New Hampshire. Over the next 20 years she has worked continually in the interior design industry in New Hampshire, Boston, Atlanta and New York City. In 2011 she moved back to her home town, Wolfeboro, NH with her son James and launched TSD Interiors. Joe DeChiaro, Theresa's dad, has been an integral part of getting TSD Interiors started. With a familiarity of the industry and a former business owner himself, he brings years of irreplaceable experience and wisdom to the table. If you stop by the showroom, you will often see him there helping out with the books or doing whatever needs to be done. A life filled with family, children, pets and outdoor activities has given Theresa a true appreciation for all seasons of country living. Functionality, practicality and comfort are always the backbone of every aesthetic. OUR PHILOSOPHY TSD Interiors believes in listening to our clients and understanding their needs. We strive to create our clients' own unique spaces based on their tastes, passions, lifestyles and budgets. Because every client is different, every project is distinctive. TSD Interiors will help clients reveal the beauty in their cherished items; whether faded or well-worn, we will find a home for all. Both Denmark, ME interior professionals are closely related and often mistaken for the same thing, however, there are some significant differences you should be aware of before hiring. An interior designer, also known as an interiors architect, will not only hone your style down to its very essence but will be able to choose a functional layout. All Denmark, ME interiors designers require specific schooling and formal training. They use their specialised knowledge of interior architecture, building regulations, materials, and furnishings to help you arrive at your dream home design. Interior design companies can come on board during the early stages of construction to plan spaces and room functions down to the last detail, and can help design and renovate interiors and decorate. On the other hand, an interior decorator will typically be involved with the “look and feel” of a space, and won’t be able to assist in renovations that require structural work. Interior decorators in Denmark, ME normally come on board after all structural work is complete. Why should I hire an interior designer or decorator in Denmark, ME? Everybody wants to a home that reflects their personality, though some of us are just too preoccupied with a career and/or family to think about colour schemes, wallpaper, flooring, and lighting. A Denmark, ME professional interior designer can save you bags of time, stress and months. Residential interior designers and decorators in Denmark, ME understand the latest trends, have a good sense of layout and functionality. They can also save you money by sourcing products via trade contacts or offer affordable alternatives to blowout iconic designs. How do I choose the right interior designer in Denmark, ME for my home? Every Indian home is unique in its style and can be an inspiration to define your own style. You start by looking at images and work of different interior designers and decorators in Denmark, ME. Save the pictures and details of the professionals who match your taste.There are plenty of interior design companies and interior designers who can help you turn your living room into mix-and-match lounge oozing an eclectic style, or turn a pale and interesting minimalist bedroom with shots of colour, or a beautiful space inspired by Scandinavian design. Pick an interior designer in Denmark, ME who has completed work similar to the look and feel that you desire. Be sure to discuss your needs, ideas, constraints, and budget early on. Some interior companies are design only, while others can oversee the whole project. If it is the latter that you seek, make sure all subcontractors used are well experienced and accredited. What are some of the important questions to ask Denmark, ME interior designers or interior decorators? Find an interior designer or home decorator on Houzz. 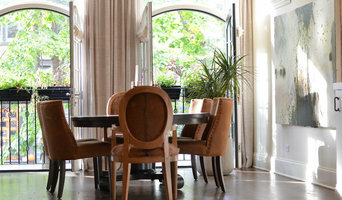 Narrow your search in the Find Pros section to find Denmark, ME interior designers & decorators. You can also look through photos to find a room you like, then contact the interior design firm who designed it.